THEY improv provides improv comedy, game shows and murder mystery dinners for entertainment options for a variety of groups and gatherings throughout Connecticut. 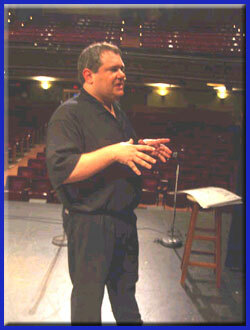 Bringing the best performers together for your needs in Western Connecticut has developed quite a reputation for THEY improv providing Fairfield County corporate events and private parties. Whether your needs are for improv comedy, game shows, murder mystery dinners or team building workshops, THEY improv is your best choice. THEY improv leads the way for Fairfield County corporate events and private shows, corporate training and team building workshops. If you have a company looking for unique and entertaining methods for improving your business, look to THEY improv. We are proud to serve the entire area, including Bridgeport, Westport, Danbury, Stamford, Greenwich, Norwalk, Bethel, Monroe, Brookfield, New Canaan, Newtown, Trumbull, Stratford, Redding, Ridgefield, Shelton, Weston, Easton, Darien and everywhere else. The area is considered by some to be an easy commute to New York. Anyone that's driven on I-95 knows better. Many residents who do make the trek into Manhattan know have become train enthusiasts. In fact, more and more businesses have begun calling Western Connecticut home, especially along the Long Island coastline, moving closer to their employees. This has resulted in a swelling need for quality Fairfield County corporate events and private party entertainment. 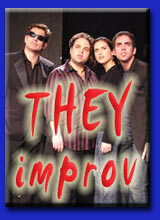 THEY improv has stepped in to fill that need. Please contact us for information about booking THEY improv by email at info@THEYimprov.com or by calling (203) 872-6900.